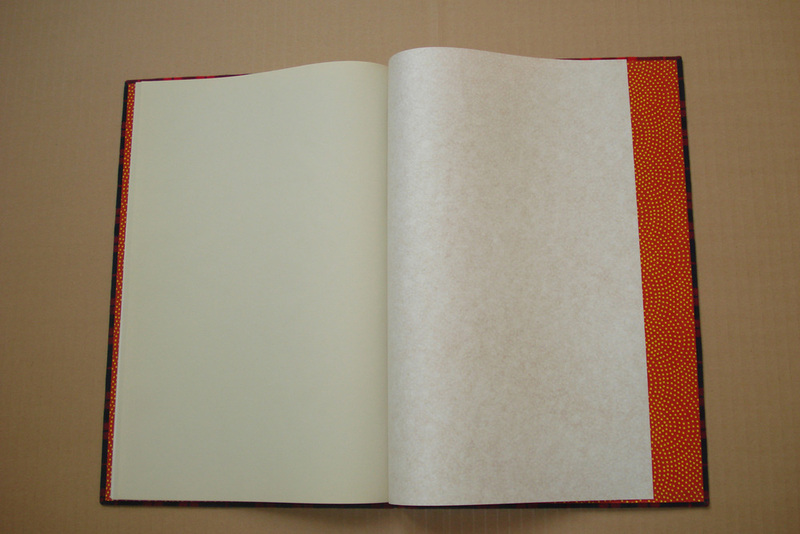 Description: The book has a hardbound traditional hand-sewn, library binding. 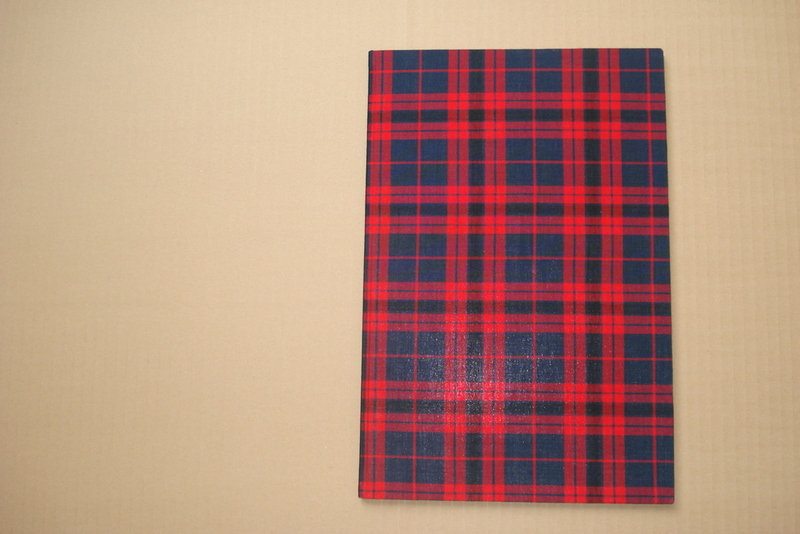 The cover boards are bound with red and navy blue Mexican plaid blend cloth. 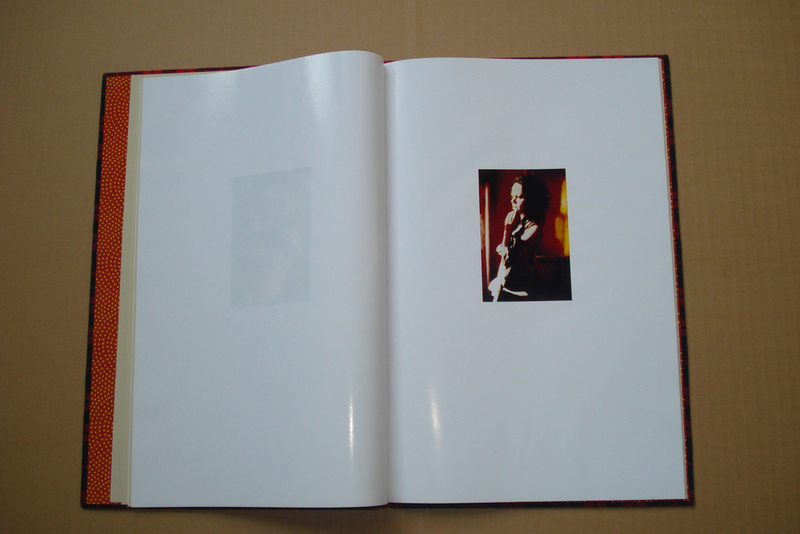 The frontispiece is a photogravure which measures 16 x 10 inches (40.5 x 26 cm.) 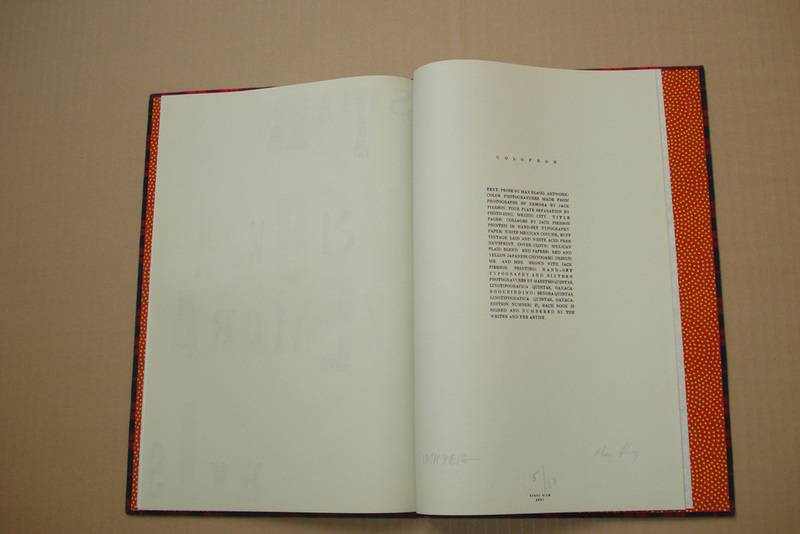 and is hand-tipped into the book opposite the page indicating both author and artist. 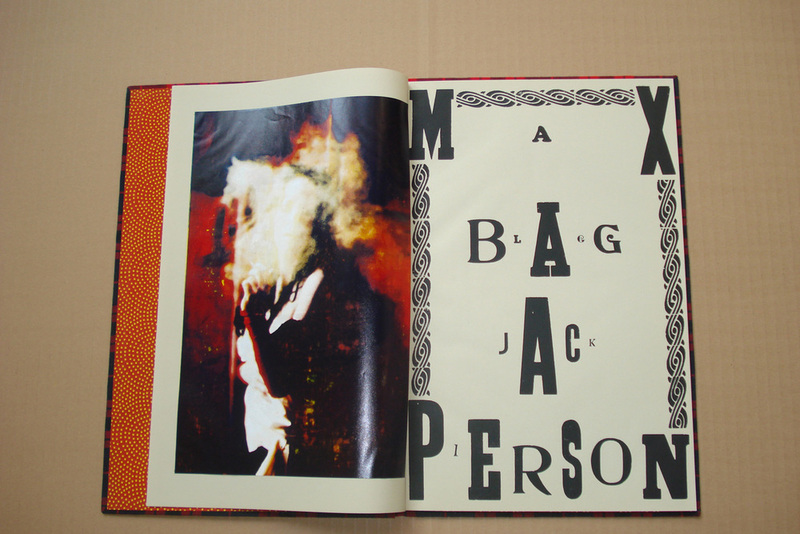 The graphics were designed by Jack Pierson as a collage, which was then set in typography and printed with black ink. 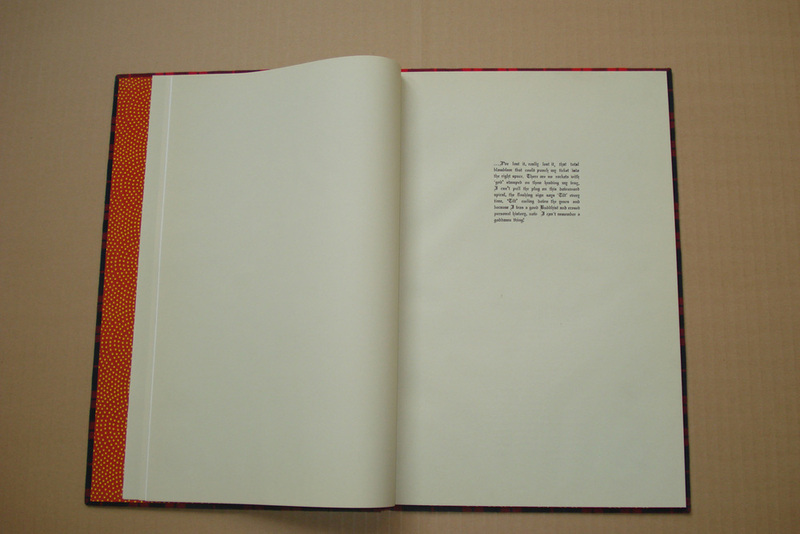 The white title pages were executed in the same manner. 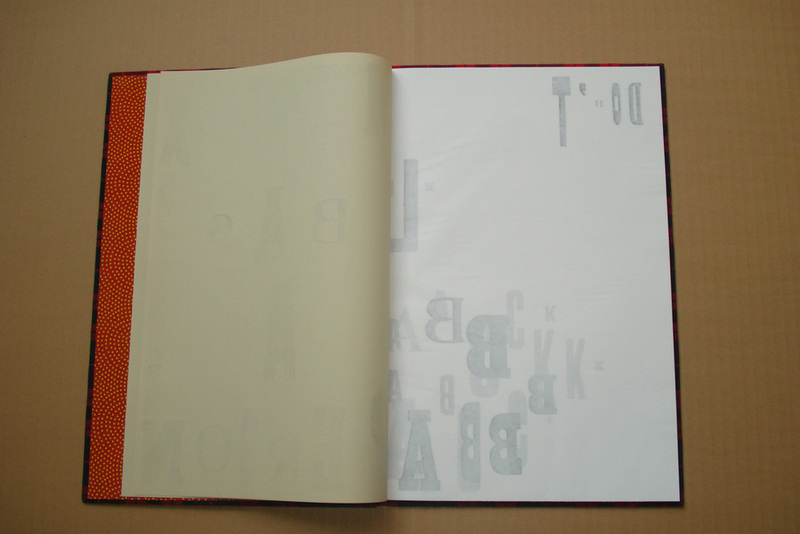 The text was hand-set and printed in a Gothic font. 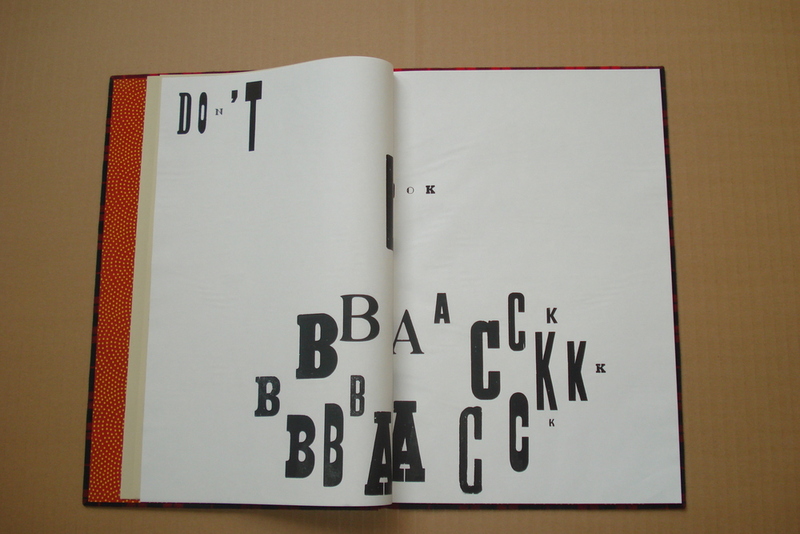 It is divided into 3 sections on 3 separate pages, as stipulated by the author. 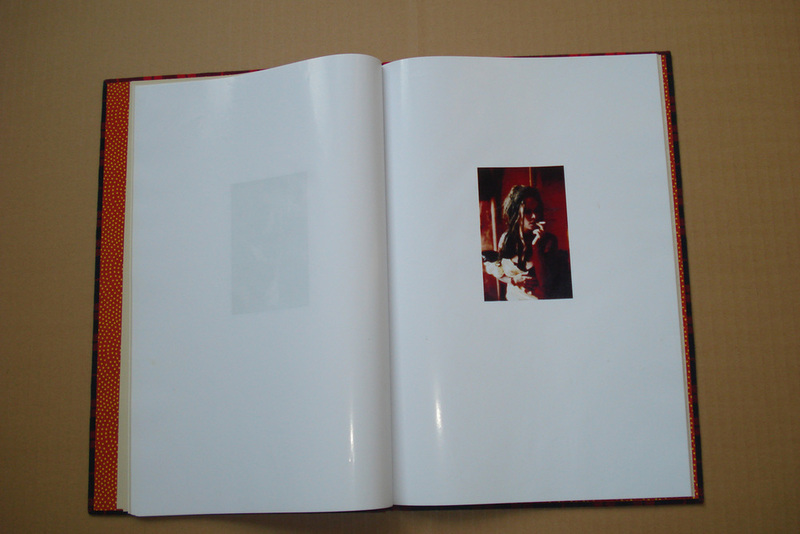 The book contains 15 photogravures measuring 5½ x 3¾ (14 x 9.5 cm.) 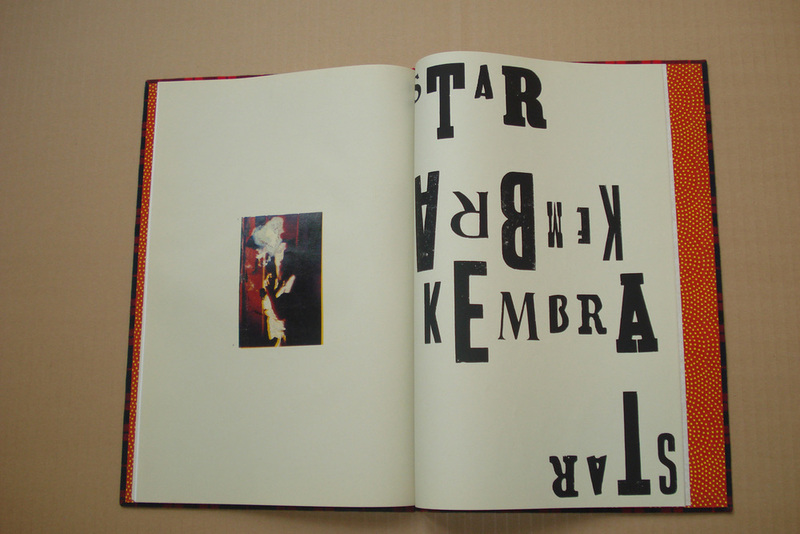 of Kembra Pfahler. Proofs: 5 Artist’s proofs, 1 Printer’s Proof, 2 Presentation Proofs, 3 Carpe Diem Proofs and 1 damaged proof. 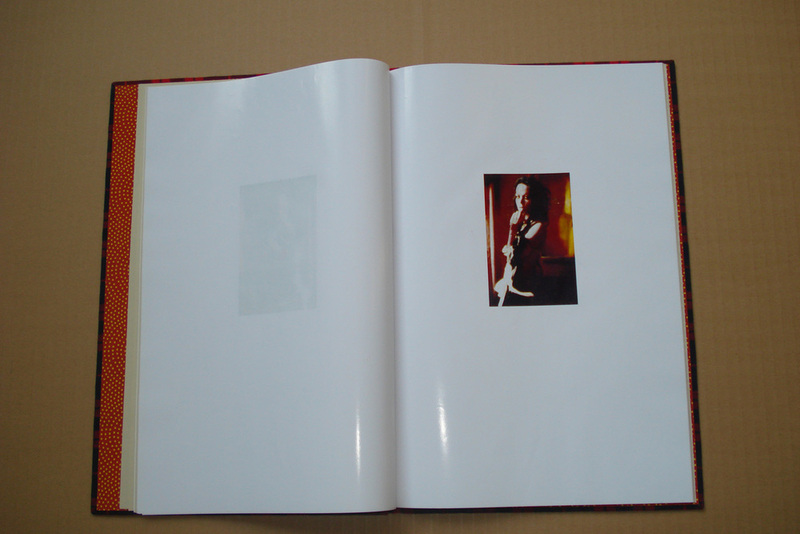 Paper: The photogravures are printed on white Mexican Couché, the title pages are printed on white acid free newsprint and the remainder of the book uses buff vintage laid. 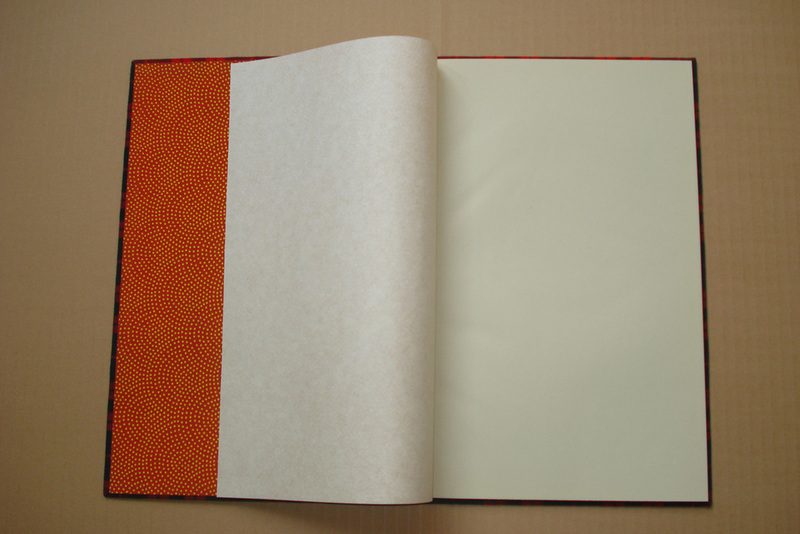 The end papers are red and yellow Japanese Chiyogami. 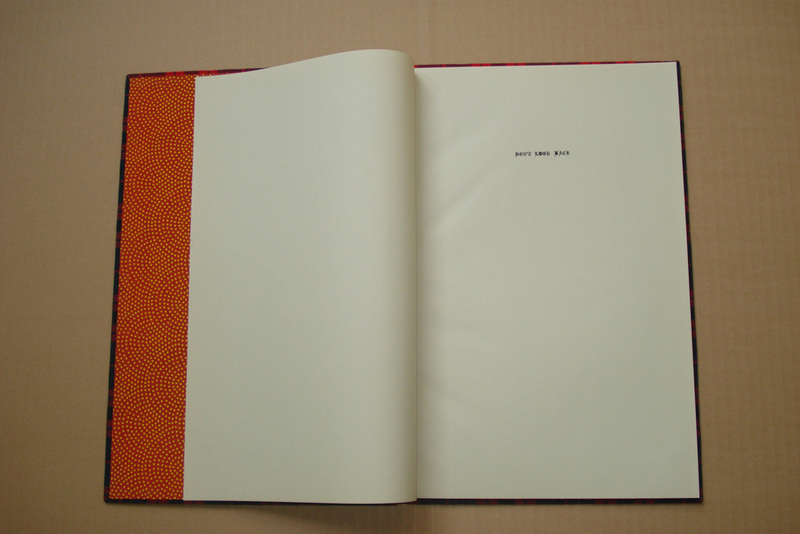 Lay-Out & Design: Mr. and Mrs. Brown with Jack Pierson. 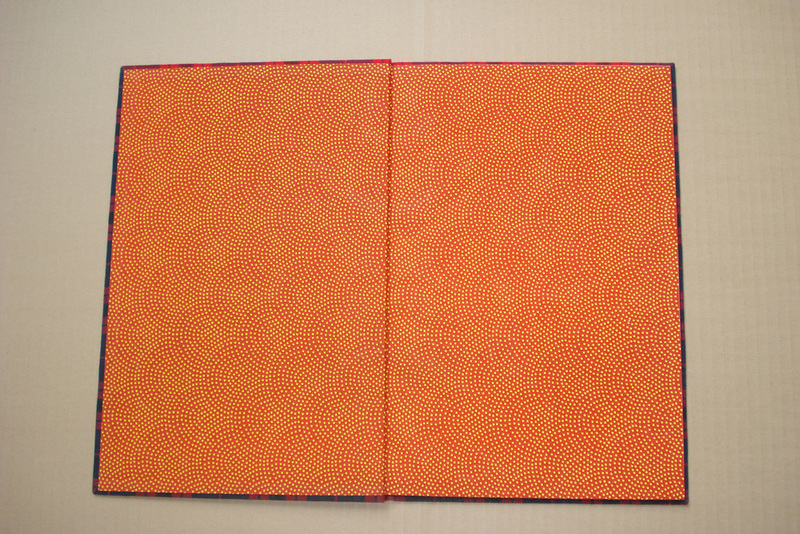 Notes: All signed, numbered and dated by author and artist.